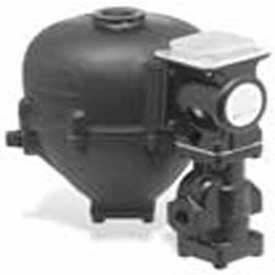 For steam and hot water boilers with cold water feed. Continuous maintenance of minimum safe water level, Independent of electrical service B. Proportional feed action F. Quick-change replaceable cartridge valve and strainer. Quiet, durable operation. Isolated feed valve minimizes lime and scale build-up. Optional features - No. 2 switch - Manual reset. Model 247 can be field upgraded with a No. 2 switch to add low water cut-off function. Maximum water supply pressure 150 psi (10. 5 kg/cm2). Maximum inlet water temperature 120°F (49°C). Maximum vessel pressure 30 psi (2. 1 kg/cm2). Made in the USA.